The VMI Planetruder is very suitable for continuous and accurate feeding of rubber into a TPE/TPV compounding extruder. The planetary gear pump ensures a feeding precision higher than ±0.25%. The single-drive, compact design allows for easy installation and takes up little floor space. 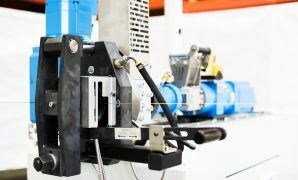 The VMI Planetruder is a complete extruder gear pump system fitted with an interface and adapter flanges for easy connection to mixing extruders. The VMI Planetruder is a combination of a single screw cold feed extruder and a volumetric operated planetary gear pump. The rubber strips are fed into the Planetruder and plasticized by the screw, while the planetary gear pump provides exact dosing. A constant flow of pre-heated rubber enters the compounding extruder at even temperatures. 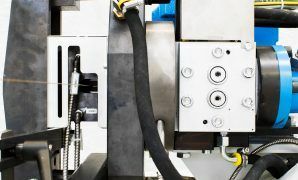 The machine is fed by strips, avoiding the need for rubber pelletizing. Compared to cold pellet feeding, the Planetruder compounding process is much simpler.